susceptible to viruses, rubella,vaccinia & herpes. 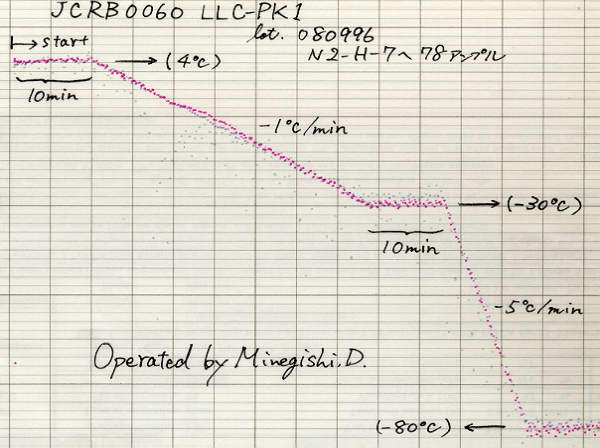 The cell line was originally deposited to ATCC forthe patenting purpose. 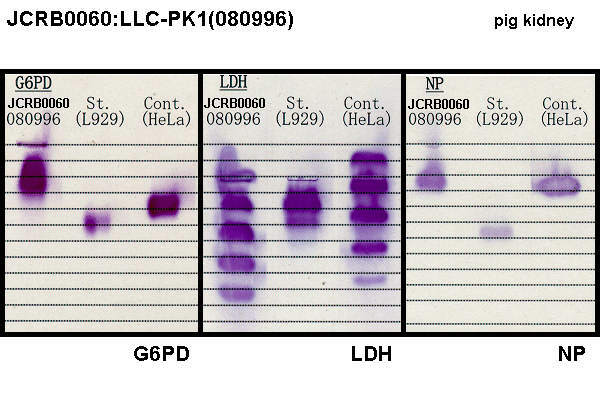 Treat cells with 0.02% EDTA and 0.1% trypsin. Passage cells every 4 days. 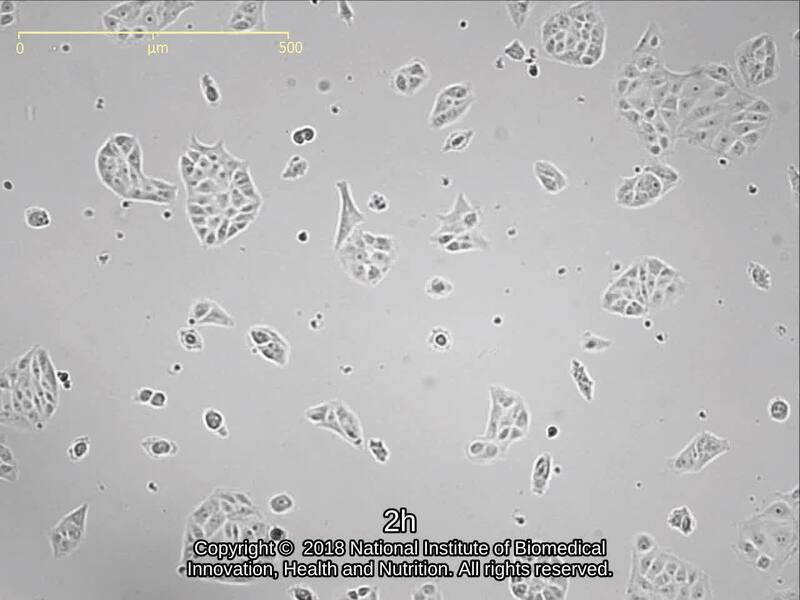 Studies of renal cell function using cell culture techniques. Insulin and serum increase the number of receptors for vasopressin in a kidney-derived line of cells grown in a defined medium. 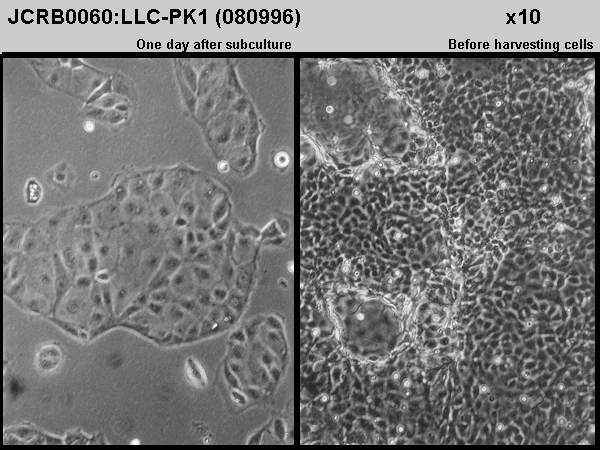 Studies on tissue culture produced plasminogen activator. I. Preliminary observations and the enhancing effect of colchicine and other antimitotic agents. 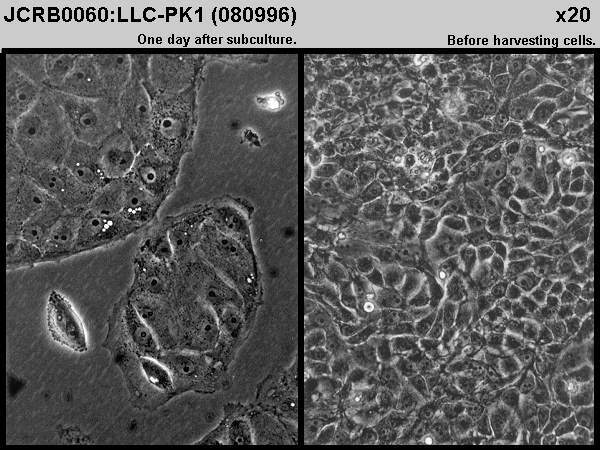 The origin and characteristics of a pig kidney cell strain, LLC-PK. Confirmed as pig by NP, G6PD, AST. Confirmed as pig by NP, G6PD, LD. 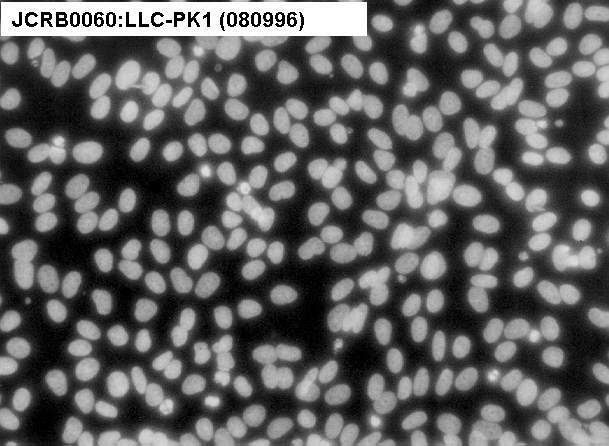 Cells are washed once with PBS, then treated with 0.25%trypsin and 0.02%EDTA at 37C for 10min. 0.02% EDTA and 0.1% trypsin. Passage every 4 days.